In a bit of surprise, even in the year of almost no-hitters, Jordan Lyles took a perfect game into the eighth inning on Tuesday. Shortly after Trevor Story hit a single to end that particular quest, Lyles was removed, having gone 7.1 innings with one hit, one walk, and 10 strikeouts. This start comes on the heels of a five-inning, six-strikeout, one-walk, one-earned-run performance in his first start of the season last week. Yesterday was the first time since April 2016 that Lyles pitched at least five innings and yielded no earned runs. It was the first time since June 2013 that Lyles pitched consecutive games of at least five innings and allowed one or zero earned runs. The Padres right-hander was just 22 years old at that time. He’s 27 now, and it is fair to say not a great many people have spent a lot of time thinking about Lyles in the interim. While Lyles might not have garnered a lot of attention, he was actually a decent starter as recently as 2015. After his trade from the Astros to the Rockies in the winter ahead of the 2014 season, Lyles made 32 starts across the next two seasons, pitching 175.2 innings with a decent 4.10 FIP and 2.1 WAR. He was basically an average pitcher with a slightly elevated 4.56 ERA. He didn’t strike out a lot of hitters, but he got a lot of ground balls and kept the ball in the park. His 2015 season ended with a sprained toe, and he got off to a poor start in 2016 that included multiple trips to the minors and an eventual bullpen stay. That reliever role continued into 2017, but he didn’t perform well and the Rockies released him. The Padres picked him up and let him start a handful of games, but those didn’t really go well, either. Lyles opened this season in the Padres bullpen and pitched well enough to get back in the rotation. Thus ends the recent history of Jordan Lyles and brings us to today. Lyles is no longer the contact-oriented sinker pitcher of his Rockies days. To illustrate the changes Lyles has made, let’s run through his first batter faced yesterday, David Dahl. Pretty basic four-seam fastball on the inside half of the plate. The first strike is something relatively new for Lyles. In his career, he’s thrown a first-pitch strike 59% of the time, but this season it is 10% higher, ranking sixth among 130 pitchers with at least 30 innings. He’s made the change by throwing more pitches he can control. Here’s Lyles’ pitch mix last season on the first pitch to a batter and how often those pitches were taken for a ball, per Brooks Baseball. He throws his four-seam fastball the most and gets strikes a good amount of the time, but he throws his sinker around a third of the time with a majority of those pitches going for ball one. Here’s what the pitch mix looks like so far this season. He’s now throwing his four-seam fastball a majority of the time and getting strikes a vast majority of the time. He’s throwing enough of his other pitches so as to not get too repetitive, but the four-seam fastball is the pitch getting Lyles ahead. He’s using his four-seam fastball a lot more than he has in the past, diminishing the use of the sinker, but he hasn’t gotten rid of the two-seam fastball, as he discussed early in the season with Jeff Sanders of the Union-Tribune. Going into spring training this year, they wanted me to focus on four-seamers more. Then I started using two-seamers. 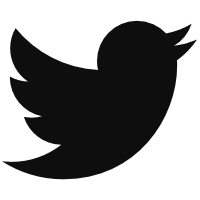 It’s something I can go back and forth between. If I follow up a fastball with another fastball, I like to do the opposite. If I go four-seamer away, I’m probably going to follow it up with a two-seamer away. It’s just different weapons. It’s something extra the hitter needs to think about. That’s a hard curve with a ton of break. It bounces in front of the plate, but Dahl still swings. Compare it to his old curve from several years ago. That curve is about 7 mph slower with less break. Lyles switched to the higher octane curve last season, but it wasn’t getting nearly as much break as it is getting now. Dahl strikes out a lot so maybe he isn’t the best example to use — and maybe the Rockies offense isn’t the best to showcase changes that might work against better teams — but the curve is getting a 19% whiff rate and is responsible for 17 of Lyles’ 32 strikeouts. His combination of velocity and downward movement is uncommon, as the scatter plot below shows. 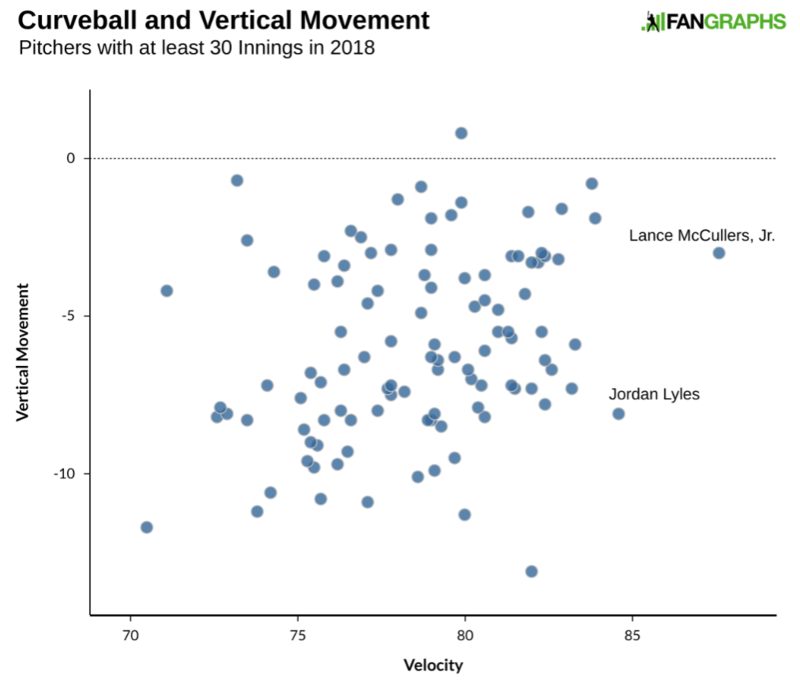 Only Lance McCullers Jr. throws his curveball harder than Lyles, while the Padres right-hander is also in the top-quarter when it comes to downward movement. This is essentially a new pitch for Lyles and it is working incredibly well. Lyles also has a slider that he uses against righties and a changeup he uses mostly to combat lefties, and yesterday he used those pitches the second and third times through the order. They are pitches that might help Lyles stick in the rotation, but the four-seam fastball and nasty curve are the pitches that will get him to the second and third times through the order. If he can keep this up, maybe he’s a mid-rotation trade-deadline acquisition. The Padres have a cheap team option on Lyles for 2019, and could opt to keep him another season as well. If you haven’t expended any mental energy on Jordan Lyles in a while, it might be time to start. We hoped you liked reading Jordan Lyles Found Something He’s Never Had by Craig Edwards! While I appreciate Lyles’ improvements, it’s worth noting that he was facing a team that is currently running a 64 wRC+ against RHP. I do hope he can keep improving, though.